When a new social media channel gains traction, it’s my job to check it out so I can understand who uses it, how it’s used, and how associations and nonprofits might benefit (or not) from having a presence there. Then, using the same approach I use with client organizations, I decide whether to make the platform part of my life. Take Snapchat. 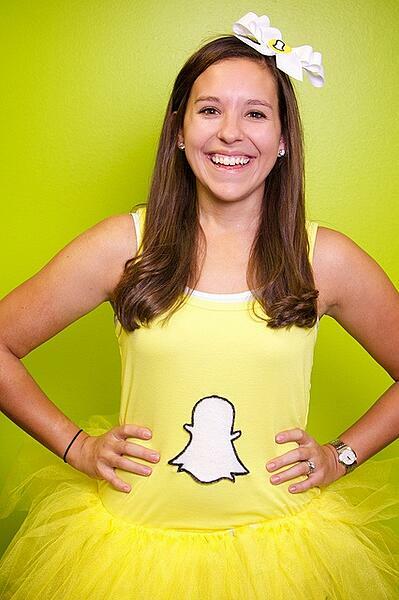 When I first discovered Snapchat, I spent some time on it connecting with people I knew who were already on the platform, which at the time was limited to my niece and a former intern, both teenagers. I learned about snaps, Stories, and streaks, and ended up scoring a pathetic amount of points—nothing like Dave Coriale’s score, let me tell you. After snapping my share of ugly, silly-looking selfies with scrawled messages and drawn-on mustaches, I relaxed in the realization that these photos would quickly disappear upon delivery. But, I questioned whether it was weird for me, a married thirtysomething with a kid, to be Snapchatting with professional connections on the platform. It felt awkward and uncomfortable. Quite honestly, I felt like I was failing at Snapchat until I realized that many of my social media consultant friends also had lousy scores like me. Like many of you, I have a limited amount of time to spend on social media. I have clients, projects, and many other social networks and apps screaming for my attention, so I have to be smart about where I spend my time. Snapchat doesn’t cut it for me, professionally. My network isn’t there (either professionally or personally) so it’s not going to help me with my social media goals. Your target audiences use a multitude of social media platforms, but you can’t be everywhere. You don’t have time to be everywhere. You must be selective and strategic about where you spend your time on social media. And that’s okay. It’s okay not to chase every bright and shiny object. However, you need to understand where your audiences spend their time and communicate with one another—and those platforms may change over time. Understand your target social media audiences. Decide the percentage of time you will devote to each target audience and prioritize those audiences. Find out how your target audiences use social media. There’s no reason to use Snapchat if very few people in your target audience are there. But how do you know if they’re there or not? Talk to them. You want to learn more about their content needs and interests anyway, right? Use surveys and polls, focus groups, and good old-fashioned conversations on the phone and in person to find out how they’re using social media. Which platforms do they use personally, professionally, or both? How are they using those platforms? Reading and viewing only? Interacting with others? Sharing links? Participating in chats? What type of content do they find useful? Where do they normally get that content? Find out how similar or competing organizations use social media. Look at their content types, voice, posting frequency, and followers. Search for industry keywords and hashtags and note the level of activity for each. Find out where industry dialogues are happening. These articles from Social Media Today and Social Media Examiner suggest other ways to find out where your audience hangs out on social media. Develop a purpose statement for each social channel. Ideally, your association should have a social media strategy that aligns with your organization’s strategic plan. Your social media strategy identifies a select number of platforms you’ll use. After determining which platforms are right for your organization, it’s time to develop a purpose statement for each social media channel. What actions do you want each target audience to take? What type of content will you share within that network to encourage action? What will success look like? How will you measure it? For example, if your association is trying to connect with young members on Instagram, what content and messages will appeal to them? How will your images, voice, and tone change on Instagram vs. a platform like LinkedIn? Don’t completely ignore the hip new social media channels getting a lot of buzz from marketing websites and other media. Instead, sign up for an account so you can reserve a good username for your association. Even if you can’t imagine ever using the platform, get an account. You never know how your audiences or the channel itself will change in the future. Five years down the road, you or your successor may decide your association needs a presence on that platform. Just think how grateful you’ll be that somebody way back when reserved your association’s username. Snapchat might not be a good use of your time now, but a year or two from now, that may change. The digital world is ever-evolving, just like our members. Test the waters again in a year. Talk to your members, do some social research, and make sure your social strategy is still on the mark.